USED Scuba Diving Equipment DEMO. This is a great place to save money on used scuba gear, scuba equipment that’s refurbished, demo and x-rental scuba diving equipment. All used scuba diving gear is sold as is unless stated otherwise as “serviced” which will bare a 90 day warranty. All sales are final on equipment from this section. 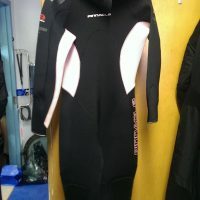 Dan’s Dive Shop offers great deals on used scuba gear, as well as the largest selection of new scuba and snorkeling equipment, but occasionally we get a surplus of used, rental, demo, dive equipment that we can’t sell as new. This often includes gear used for personal use by our instructional staff, Matt’s personal gear, upgrades to our rental stock, gear that has been left unclaimed for extremely long periods of time and more. Check back early and often for your new to you dive gear. All too often divers purchase used dive gear from Kijiji, Ebay, Scuba Swaps, Craigs List, etc., while having no clue the state of the equipment, if it’s usable, safe, serviced gear, and that equipment comes with no warranty and little to no recourse “Buyer Beware” right? This year as every year we’ve seen clients bring in gear that they thought was a “great deal” only to find out they paid too much, the gear was going to cost more than new products on display were on sale for in our store, or that we had a used item in their size serviced, in newer condition for the same price. 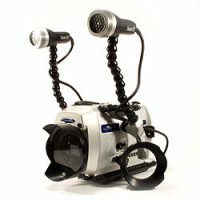 Dan’s is happy to offer USED Dive Gear to our clients who want piece of mind knowing that we stand by the products we sell and service both new and used scuba diving gear. All equipment is listed as serviced or as is and we are here unlike anonymous sellers on sites like Ebay, Kijiji, who’s email addresses can change or they can magically “disappear” if/when they want. A business established in 1974 celebrating 40 years in diving doesn’t have that option. We are a bricks and mortar company with full time staff, store hours and a great inventory. Scuba Swap is a huge success yearly in Etobicoke, but why wait once a year for great gear at the best prices anyway when you can have Scuba Swap every day of the year with Dan’s? We were sad to hear 2014 swap was cancelled, so make a trip to DDS instead and buy your gear with confidence. If you have dive gear you’re interested in listing for sale we do offer the option of listing your buy and sell scuba diving items with a fair and competitive commission as well. Email us for more information.